The United States is the oldest existing nation with a constitutional government in which the people elect their own government and representatives. However, most of its citizens do not participate in the process. Voter turnout in the U.S. is much lower than in most established democracies. In the midterm elections of 2014, only 36.7 percent of the population eligible to vote actually cast their vote. In presidential elections, about 60 percent generally cast their vote. Political parties encourage their base to go out and vote. Many companies – such as Facebook, Google and Spotify – also take action to make sure people participate in the political process. But whereas some people may simply not want to vote, others are actively discouraged. The right to vote in the United States has been contested throughout the country’s history. Literacy tests, ‘good character’ tests and poll taxes are just three examples of mechanisms used to disadvantage minority voters. In 1920, women were guaranteed the right to vote by the 19th Amendment. However, many restrictions still hindered non-white women to vote. Only in 1965 did the Voting Rights Act, signed into law during the height of the Civil Rights movement, give racial and ethnic minorities protection of voter registration and subsequent voting. But unfortunately, voter suppression is still present and actively discourages communities across the country from voting. In many states, the question is whether people will be able to cast their votes at all. Ninety-nine bills were designed to diminish voter access in 31 state legislatures last year, such as tougher voter ID laws, restrictions to early voting and barriers to registration. Many Republican legislatures argue that these measures combat voter fraud, even though studies show that voter fraud is very rare. Four cases stand out: in Florida, 1.6 million ex-felons will not be able to cast their vote this year. The state is one of four that prevents ex-felons from voting. In Kansas, the single polling station in Dodge City was moved to a location without a sidewalk or access to public transportation, discouraging the mostly Hispanic residents from voting. Secretary of State Kris Kobach has imposed many restrictive voting laws in the state. Two other cases of voter suppression have received a lot of attention from the national media. In Georgia, Secretary of State and the Republican candidate for Governor Brian Kemp invoked an exact-match law to purge 53,000 voter registration applications from voter rolls. If the last name on your application missed even a hyphen, your voting status could be suspended. Important is the fact that nearly 70 percent of the registrations were from African-Americans, while they make-up 32 percent of the state’s population. Kemp is running against the Democrat, Stacey Abrams, who could become the first black woman governor in the United States. The measure is highly controversial, as Abrams’ campaign strategy put a lot of effort in registering 600,000 unregistered black voters. Last Friday, a U.S. District Judge ruled the state must relax restrictions that could prevent thousand of people from voting in today’s midterm elections. In North Dakota, thousands of Native Americans are actively discouraged from voting in an important Senate race. 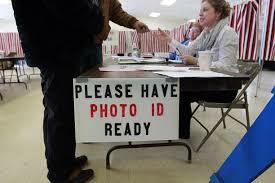 The Supreme Court upheld a law that requires residents to show an ID when casting their vote. The law specifically disadvantages 5,000 Native Americans, as their ID has to show a residential street address. This is troublesome, as many Native Americans living on reservations only have PO boxes, not a street address. The law could prove harmful to Senator Heidi Heitkamp. She is up for re-election and won her seat in 2012 by only 3,000 votes, many of which came from Native American voters. 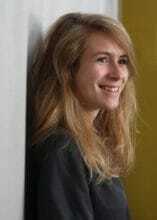 Maggie Astor, a reporter for the New York Times, spent three days in North Dakota reporting on the law. In a very interesting Twitter thread, she illustrates the efforts being undertaken by tribal officials to ensure everyone has an ID and an address. During the 2016 Democratic Convention, President Obama had a simple message for the crowd in Philadelphia. Don’t Boo, Vote! But this might prove to be a serious problem for some Americans.